The animals want to show how good they are at making tall pyramids! They must be skillfully careful: Who will position the penguin on top of the crocodile, the sheep on top of the penguin, the serpent on the sheep? The hedgehog wants to stand on top of the pyramid but the height is making him dizzy. Tier auf Tier (a.k.a. 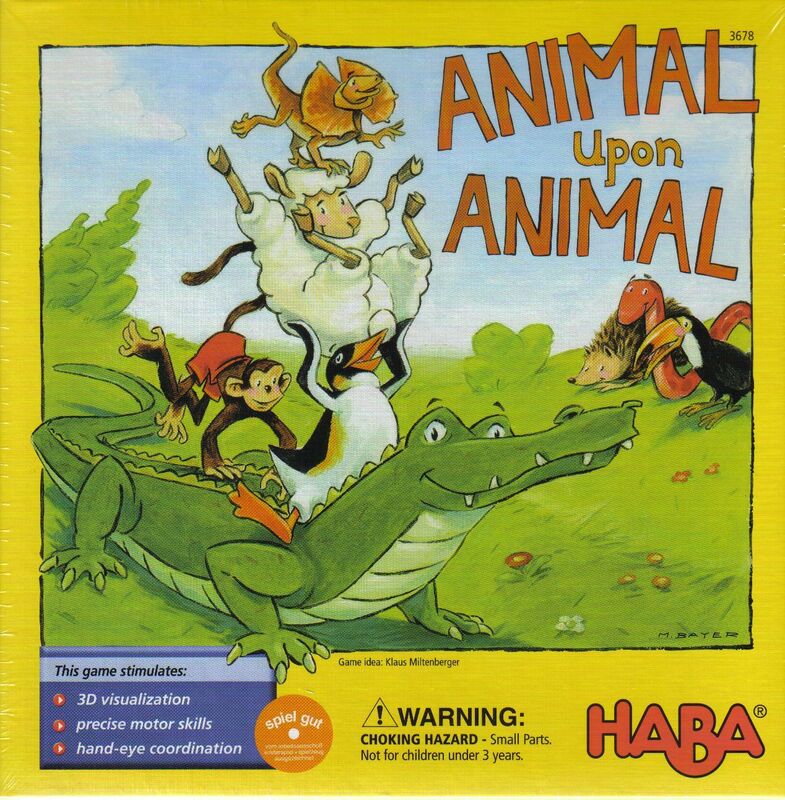 Animal Upon Animal, Pyramide d'animaux, and Dier op dier) is a simple stacking game, listed for ages 4-99, with 29 cute wooden animals. Each turn a player rolls the die and either places one or two animals on to the stack of animals, passes one of his or her animals to another player for them to place, or places an animal on the table, extending the base for other players to build upon. Of course, if any pieces fall off whilst you are building, you get up to two of them back. The first player to have used all of their animals wins. This game, intended for children, is equally popular with adults.